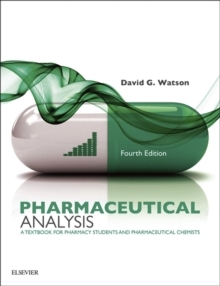 This new book, from the editor of the highly successful Pharmaceutical Analysis, sets out to define the area of pharmaceutical chemistry as distinct from medicinal chemistry. It focuses less on prototypes of drugs that perhaps never came to market and more on the drugs currently in use. 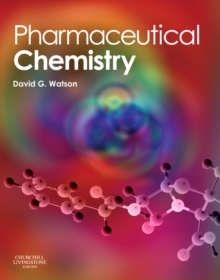 The emphasis in the book is on the physicochemical properties of drug molecules and, in so far as they are known, the way that these properties govern the interaction of the drug with its target. 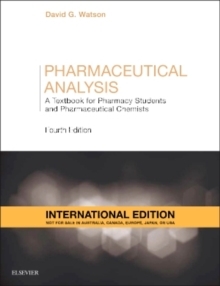 Important physicochemical properties include pKa and partition coefficient and the properties of the structural elements within the drug which provide interactions with the target via a range of intermolecular forces. The last fifteen years has seen a great advance in the knowledge of protein structures and a strong emphasis is given to the interaction of drugs with proteins which shape the majority of drug mechanisms. 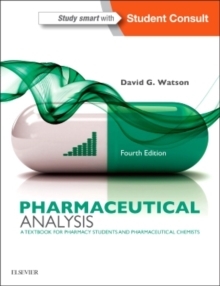 Features: Focus on intramolecular actionsMechanisms of action richly illustratedSelf-assessment includedComprehensive chapters on vitamins and biotechnological productsThis new book, from the editor of the highly successful Pharmaceutical Analysis, sets out to define the area of pharmaceutical chemistry as distinct from medicinal chemistry.